Windsor at Bay Colony is luxury, high-rise condominium tower within exclusive Bay Colony. Built in 1998, Windsor at Bay Colony consists of 21 floors with 31 luxury homes, including 7 stunning penthouses that include his and hers marble baths, library, guest quarters, housekeeper’s quarters, a butler pantry along with quality appointments. 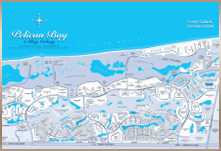 Windsor at Bay Colony condos range in size from approximately 6500 to 10,000 square feet of luxury living area and feature spectacular views of the Gulf of Mexico and the beach front shore line. Windsor at Bay Colony amenities include a state of the art fitness center, men’s and women’s saunas, social area with library room and catering kitchen, board room, spa with massage services, swimming pool with barbecue area and direct beach access.